Tender, fresh and delicately tasty, asparagus from Quebec are finally back! They can be easily identified by the “Aliments Québec” logo printed either on a yellow elastic band or on the producers’ label, which is a sign of unparalleled freshness and nutritional value. But you’d better hurry, because their harvesting season is quite short. 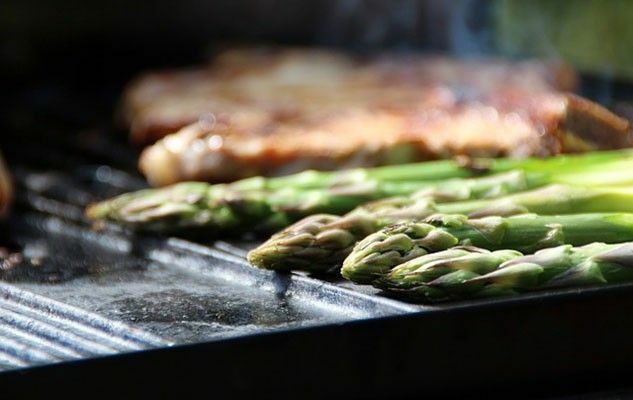 Rich in iron, magnesium, potassium, vitamins B and C, alimentary fibres, with 90% water content, asparagus is known for its re-mineralizing and diuretic properties. Nothing like it to get prepared for spring! Originally published in the Journal de Montréal on June 3, 2006.